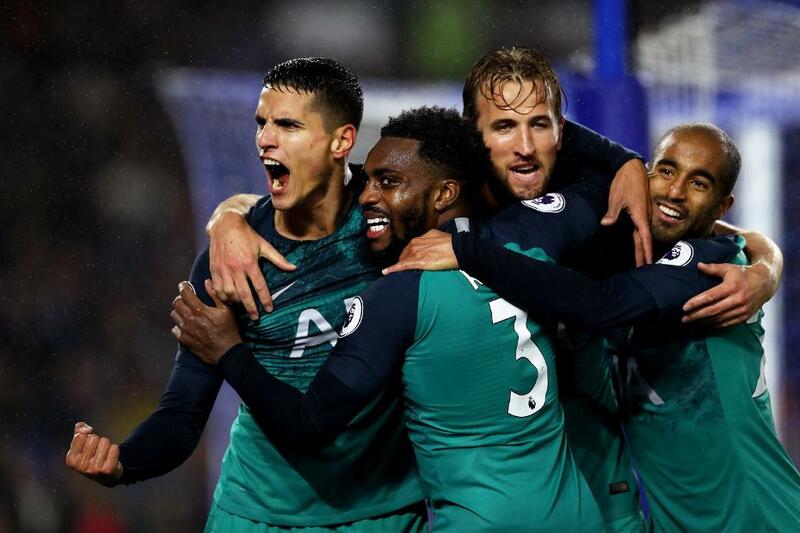 Erik Lamela came off the bench to give Tottenham Hotspur a 2-1 victory at Brighton & Hove Albion. Spurs took the lead when Harry Kane netted with an emphatic penalty on 42 minutes after Glenn Murray had handled a Kieran Trippier free-kick. Brighton improved in the second half and could have equalised on 66 minutes, but Anthony Knockaert shot straight at Paulo Gazzaniga from close range. Ten minutes later substitute Lamela doubled Spurs' lead from a Danny Rose cut-back. Knockaert pulled a goal back in the third minute of stoppage time and had a good chance for an equaliser but his weak shot was saved. Spurs move up to fifth, on 12 points, with Brighton in 13th on five.